I am a Goldwater Conservative. Does anyone remember what that means? I am a proponent of limited government, a balanced budget. I am also a proponent of individual freedoms; keeping the government out of my individual choices. I am a proponent of personal responsibilities; if I break the law, I will take full responsibility for it. I used to believe that voting for any Republican candidate would be a vote for all the conservative agenda items listed above. I saw the influence of the Moral Majority, the Christian Coalition and other groups who had their eye on a Christian Nation label for America and I felt it was probably wasted effort because the Republicans that I knew and worked with respected the Separation of Church and State and America would remain a nation for all people of various colors and Gods to live freely. I began to see this weakening during the Bush Administration under President George W.H. Bush (41) who obviously needed the help of the religious right to bet reelected. 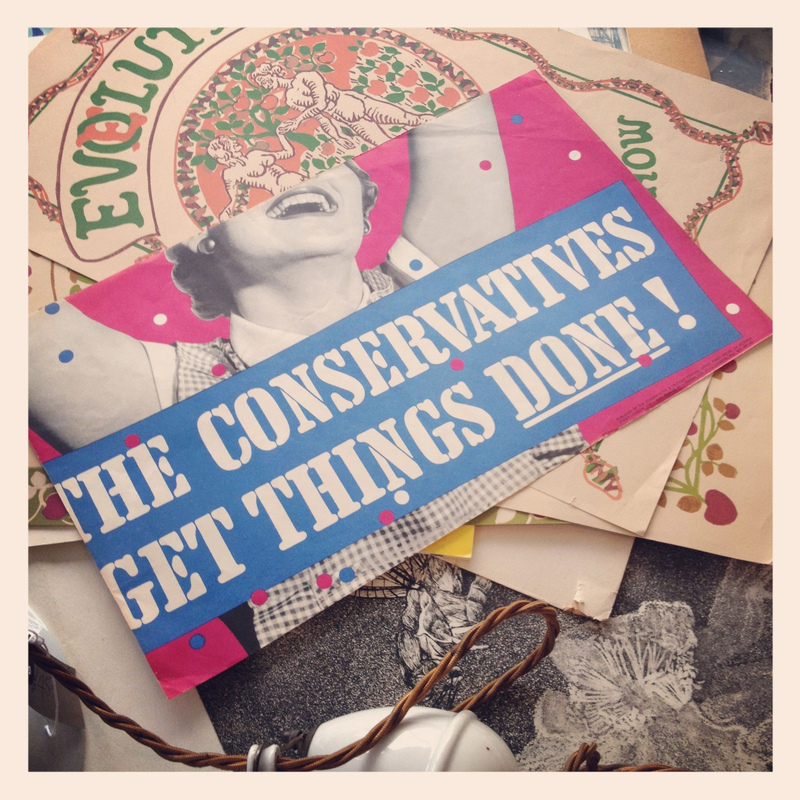 My old conservative soul began to smell something sour in my Republican roots. It came in the new conservative group behind 41 to redesign the constitution to fit the end game of these religious groups. I read the articles by Paul Weyrich and was horrified to think that he expected a change of attitude within the entire American population to change the scope of the federal government to include much of the 10 Commandments to be used against the people themselves. I wondered at that time whether it was a Christian doctrine to include the rules of the Churches into our Federal Government or it was merely a “control” thing to be issued from the White House. I realized that in 1999 we had a born-again Christian running on the Republican ticket and the campaign would be run on the voters having “faith” in the ability of George W. Bush to lead America as a conservative Republican. At the time the mixture didn’t make any sense to me. I remember the debates between the Christian Candidates and their plans to bring American morals up through legislation and I was horrified! I remember Alan Keyes throwing in a dozen sins that must be addressed by the White House like gambling, abortion, adultery and so many more that I blocked them out of my memory. Did these men not realize that our Constitution was written to protect us from the government and not to be used in restricting our legal freedoms in any way. I saw immediately the kind of growth of government that would have to be built to enforce these sins and I immediately thought back to the Prohibition of alcohol that developed such a horrible police state through the FBI. It was necessary because the American people would never stop using alcohol just because the Government decided to prohibit it. We read about the development of the crime cartels that blossomed in just about every city in America. It should have been a lesson to all Americans that prohibitions do not do well in America as our freedoms have allowed us free choice in our habits. To this day we have those same crime cartels running our underground only they are dealing in drugs and illegal immigration. So today we are seeing a movement to give the Federal Government the right to attempt to correct the morals of America through massive programs to prohibit abortions, gay marriages, embryonic stem cells to be used for healing, and a federal law prohibiting adultery, making divorces more difficult to get, prostitution and gambling and of course removing the 10th Amendment giving the States any freedom from these choices of any of these prohibitions. The one that is of importance to me is the End of Life Choices, giving the Federal Government the sole responsibility of who lives and dies. The last time a government was given this responsibility found the extermination of millions of Jews in Germany. Is this new Conservatism another word for a Police State? From where I sit, it most certainly seems so! Is this what Americans really want? I’m no fool and understand that abortion is the litmus test for the Conservatives and they haven’t even tried to be subtle and they will vote for any candidate who promises them to repeal Roe v Wade. This whole mess with the U.S. Supreme Court is to stack the deck on the side of an interpretation of the U.S. Constitution to remove the power of the Individual States and hand it to the Federal Government with abortion being the fountainhead of the movement. Will it abolish abortions? Legally yes, but in reality, no! Just like the 18th Amendment actually encouraged people to drink. But what I fear is the reaction to this abortion prohibition will bring back the dirty abortionists into our neighborhoods and the women will die again just as they did in the 50s and 60s. I realize that the ultra religious Americans feel they deserve it. But have they thought about the enforcement that will remove the privacy rights of all Americans? Will women have to have their pregnancy tests reported to Washington D.C. so they can keep tract of the progress of the fetus? Will she be limited in her plans to travel out of the country where abortions are legal and done in sanitary conditions? How far will the government agency against abortion go to enforce this new law? Will it be combined with the war on terror or the war on drugs or will it have a category on its own? Will women decide not go to the doctor to keep her privacy condition to herself? Will she simply slip across the Mexican border for a quick one there? Or will the border patrol ask her to pee in a vial to be tested at that time? How far will the American Federal Government go to enforce the new abortion prohibition? It frightens me that men like Paul Weyrich, Jerry Falwell, Pat Robertson, and the mass of Conservatives now installed in our Legislature and Executive Branches of our government and a good chance that a U.S. Supreme Court judge will throw the Constitution into the same mode, will be given the authority to develop a social police state that hasn’t been seen since the Nazis ruled Germany. What this movement tells me is that our government has no respect for the American people. Women are certainly not treated equally due to their precarious position of getting pregnant. I have never met a single person who is pro-abortion. But I have met millions who are pro-choice. Using the Federal Government for the purpose of controlling the women is followed by controlling the homosexuals, end of life choices and the use of embryonic stem cells. These are not Federal issues and if control is needed it should be done by the churches or even public schools, which might be difficult without using the bible as a moral manual. I know this is the plan because I have read the words of the religious right and would wish they would take on the morals of their followers without the use of the Federal Government. America is in a very dangerous position at this time with people actually laughing at the actions from the White House and Congress. The religious right might believe they control the American people but they do not! They are simply forcing a division within the GOP that will destroy the party and possibly America. What the Americans are watching at this time is why the religious right was so eager to lead America into a war in Iraq. The killing of innocent people as well as our wonderful armed service men and women seems to be acceptable because the Administration is pro-life. Can anyone see the rationality in this? I cannot! Has the Federal Government used their power in the War on Drugs to anyone’s advantage? We have more drugs in our neighborhoods than ever before. Has the Federal Government done anything to teach a single American child to read and write? Has the Federal Government done anything to encourage our survival skills? Has the Federal Government done anything with our trade agreements except to make them unfair to American manufacturers? This constant power struggle for the Federal Government to take over our daily lives has been an abysmal failure all the way around. It is time to knock down this growing cancer in our government and rid the country of the conservative House and Senate and bring back the real core of the Republican Party. When I hear the word “conservative” I shudder at the thought of a police state replacing our U.S. Constitution. Our Government has not earned the right to our personal lives as they have shown a terrible lack of respect for all of us. What are we supposed to do when one of our children turns out to be gay? What do we do when our birth control fails and we find ourselves in an impossible predicament when another baby will destroy the live of the mother? What do we do when a member of the family has a spinal injury and stem cell healing is removed from our choices? What do we do when mother earth throws more disasters on America and the government tells us that God is responsible instead of fixing the problems that these disasters bring? What do we do when we see our children limited in their academics due to Federal mandates? What do we do when our sons are killed in action due to an illegal war that we can’t get out of? How have we allowed abortion to take complete control over the government and the voters of America? How have we allowed a simple man to take over the laws of America and force us into a debt that our grandkids will have to pay? We have fed his ego to the point that he now claims to talk to God about his take over in the Middle East. Have the last 40 years of dumbing down our public schools made us all ignorant of what an overpowering federal government has done to us? Where are the real Conservatives of the Goldwater era? Where is the Republican Party in 2005?